In 1983, a suburban high school teen was left alone for the weekend by his upper middle class parents whereupon he danced in his undies, pumped up the volume on the hallowed stereo, hired a prostitute and through a series of farcical complications ended up having to open a bordello in his home in order to pay off a pimp of whom he had made an enemy. He ends up using said bordello to get himself accepted into a prestigious university. In 2015, an inner city high school teen doesn’t dance in his undies, but through a series of farcical complications ends up with a shitload of drugs in his backpack, and gets caught between a variety of guys of the not so good variety who all want what he’s got. He opens a drug lab in his high school and uses the sale of the illegal substances to get himself accepted into a prestigious university. However, the background to the story is not the only difference between these two basically similarly structured films. No, the 2015 film, Dope, has characters much richer; dialog much wittier, smarter and crisper; and a plot much edgier and more exciting than the rather white picket fence blandness of the Tom Cruise Risky Business. Central character Malcolm is a geek; a geek with geek friends (Malcolm’s two bff’s are Jib, who is Middle Eastern, and Diggy, a lesbian who at first glance comes across as male); a geek with geek cultural interests (here defined as smart, college bound, but obsessed with 1990’s rap culture and forming a punk band—and they’re darn pretty good, so good you wonder why they want to go to a musty old institutions like Harvard when they have so much musical talent). On the surface, Dope deals with many themes similar to what one might find in a John Hughes film. Malcolm has the same worries as many of the kids do in movies like this: what is he going to do for his future; what college is he going to; how does he avoid the bullies; will the beautiful girl give him a second look; and can he takes his SATs while making sure that drug sniffing dogs don’t find his backpack. Well, yes, of course, that last is a bit unHughesy, one might say. Because Malcolm also has the additional burden of simply trying to stay alive. The three are geeks in a school in a poor, dangerous and gang controlled neighborhood. Dope is indeed a comedy, but is punctuated by sudden vicious acts of violence that are treated not as tragedy or even with gallows humor, but as everyday occurrences, something equal to Malcolm having to write a “why should I be accepted into Harvard” essay. While kids in a Hughes’ film might just fear humiliation or a swirlie, Malcolm has to do what he can not to get shot or stabbed, as well as avoid humiliation and swirlies. 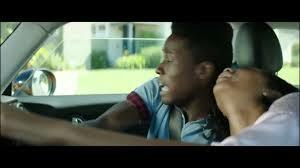 Dope is written and directed by Rick Fumiyawa, and he seems to be having a great deal of fun in both areas. While the plotting is clever and has all the positive aspects of a farce, with strong characters and dialog, he’ll suddenly throw in split screens, put the movie in reverse, go non-linear, and employ all sorts of directorial and cinematographic flourishes if the mood so strikes him. The film does have its issues. Though the first half is amazingly focused and tension filled, the second half at times tends to stall a bit just when it should be picking up speed. I think this is mainly because Fumiyawa introduces new characters at this point. Now, there’s nothing wrong with this, but Fumiyawa is, let us say, very much in love with these people he’s creating (and who’s to blame him—these are some of the best written characters of the year). But he spends so much time on exploring them in ways that have nothing to immediately do with the plot (like a Weird Al Yankovic look alike computer hacker they met at band camp), that the forward momentum tends to flag a bit. And the movie does depend on a scene that makes fun of a woman relieving herself in public; it got laughs in Bridesmaids, but even there it was a bit much and on the verge of being too mean, and I think maybe it’s the same here. I also have to say that I’m not convinced that the finale, where Malcolm finally writes his essay for his Harvard application, is that impressive. It’s a pretty bland and borrowed bit of prose. And I’m not sure he’s correct—he ends it with the question, if I wasn’t black, would you be even asking this question—but doesn’t everybody have to write such an essay, no matter their background? Still, for originality and uniqueness (even when it on occasion borrows from other movies of the same genre, Fumiyawa brings a refreshing freshness to the familiar tropes), it’s hard to beat this coming of age story. With Shameik Moore giving a strong and empathetic performance as Malcolm; Tony Revolori as Jib (he played Zero in The Grand Budapest Hotel and I don’t know what happened; in the earlier movie he seemed to have no personality or presence on screen at all, but here he is full of life and spot on in everything he says and does); and Kiersey Clemons keeping up with the other two with ease as Diggy. 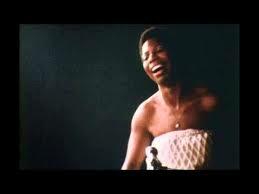 What Happened, Miss Simone? 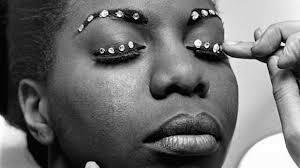 Is an outstanding and breathtaking documentary about the legendary soul and blues singer, Nina Simone (natch). It’s a riveting, tense and deeply moving portrait of the artist troubled by self doubt, existential anguish and mental and emotional issues. Liz Garbus, the director, begins the story at the end with Simone making a comeback tour. Something obviously has gone wrong along the way for this vessel of talent. But what exactly happened is unclear. The movie then goes back to the beginning when Simone, nee Eunice Waymon, played piano as a child in her mother’s church. Something of a prodigy, she was taken up by a pair of white women who saw talent in her. Simone, planning to be the first black concert pianist, found she was more able to make money and attract a crowd by playing and singing jazz and blues. And her family was so poor, she desperately needed to make ends meet (she used the stage name Nina Simon so her mother wouldn’t find out what she was doing). In spite of some small impediments here and there, at this point Simone seems to have lead a rather straightforward, even charmed, life. So straightforward and charmed you can do little but wait for the other shoe to drop. And when it does, it does it with a vengeance. She marries a man who is a brilliant manager, but also physically abusive. She discovers that she doesn’t really find fulfillment in singing night after night after night; that, ironically, she is losing her soul. And though she doesn’t know it at the time, she is a sufferer of bi-polar disorder, perhaps the most devastating influence on her life. When the civil rights movement begins, she finds a cure for her existential angst and a new meaning in her work. But her new music doesn’t sell. And when Martin Luther King is assassinated, she leaves the U.S. for Liberia. Though she describes this period in her life as her most fulfilling and joyous, she has no real monetary support. She becomes physically abusive to her daughter and ends up in near poverty in France, where some friends help her find a way out of the life she has fallen to. Though at the end we’re thrilled that Simone has found her way back, I found the movie to be profoundly sad. Her days of greatness were huge in number, but her ability to experience that greatness was almost nonexistent and by the time she could find a stability that gave her any sort of peace, it was near the end of her life. The movie itself then is very ironic in many ways: it’s a beautiful and life affirming study of a great soul whose time on earth was rarely beautiful and life affirming. One might even say, she had an existence that was not beautiful or life affirming for her for the majority of it, but because of that, she made our existence that much more beautiful and life affirming. And I’m not quite sure how to feel about that. Filled with interviews with her husband Andrew Stroud; her daughter Lisa Simone Kelly; Stanley Crouch; Stokely Carmichael; and the “high priestess of soul” herself. Though playing in theaters, it can also be seen on Netflix as well. I still want to see dope but I did see What happened Miss Simone. I was a bit emotional viewing the film as it left me thinking how tragic many female musicians lives have been. I didn’t think it was great but I did enjoy her moments on screen performing live and I wish those scenes were longer. Have you seen Bessie? I still need to watch that as well. No, I haven’t seen Bessie. Hopefully I’ll be able to do that soon.